The term positive discipline may sound a little hokey. After all, can punishment really be positive? And shouldn't discipline sting in order to teach your child a lesson? Before you jump to any conclusions, however, consider that positive discipline may be an effective way to teach your children valuable life lessons. While it still involves giving kids negative consequences for misbehavior, it also involves taking steps to prevent behavior problems before they start. Positive discipline uses an authoritative approach, where a child’s feelings are taken into consideration. Children are encouraged to share their feelings as well as discuss their mistakes, ideas, and problems openly. Parents then work with the child on resolving issues while modeling respectful communication. Spend quality time with your children each day to build a healthy relationship. Quality time can include playing, talking, and simply enjoying one another’s company. Also, make time to talk to your child about the feelings he experienced throughout the day. For example, ask him when during the day he felt the saddest and when he felt the happiest. Then, share the same about your day. This provides an opportunity to learn about one another and build a strong foundation for the relationship while also teaching about feelings. Positive discipline focuses on encouragement over praise. Instead of praising kids for a job well done, focus on your child's efforts—even the outcome isn't successful. Encouragement can help kids recognize their full potential. It also teaches them to be more independent as they will begin to see what they are capable of doing on their own. Help your child feel appreciated and recognized, as positive discipline is based on the belief that all kids need to feel a deep sense of belonging. Modeling how to handle mistakes is an important part of positive discipline. So when you mess up, make sure to apologize to your child. This teaches kids the importance of taking responsibility for their own behaviors and shows the importance of learning from mistakes. Caregivers are encouraged to hold meetings to problem-solve issues as they arise. This teaches children necessary problem-solving skills while providing them with opportunities to share their opinions. Mutual respect is an important part of the process. When your child exhibits behavior problems sit down together and talk about. Say something like, "You haven't done your chores two nights this week. What can we do about that?" You may find your child is invested in creating solutions. And when she's invested in the process, she'll be more motivated to do better. Teaching is an important step in the process. 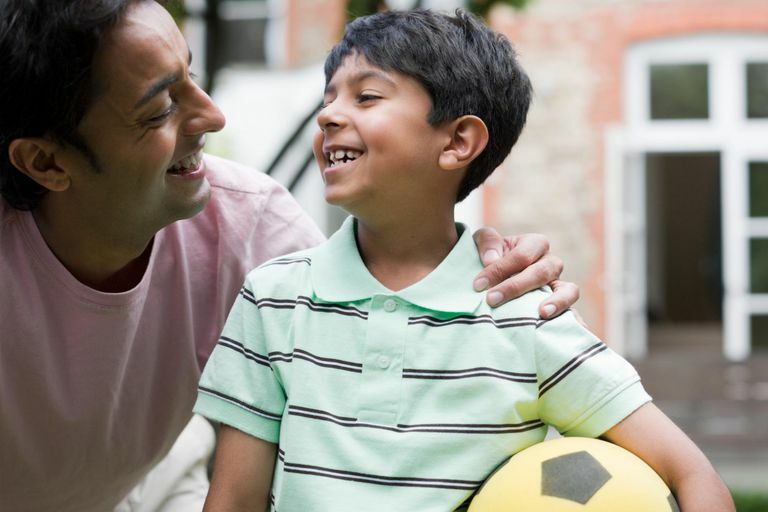 Give your child clear guidelines and explain your expectations ahead of time. Assign chores and take time to teach your child how to vacuum the carpet or how to make her bed properly. This will eliminate misunderstands about the job. Positive discipline makes a sharp distinction between discipline and punishment. Consequences are not meant to be punitive, but instead, should teach life lessons that prepare children to become responsible adults. In positive discipline, time-out is not considered a punishment. Instead, it should be referred to as a positive time out and should take place in a pleasant, comfortable area. A positive time-out is designed to teach children to take a break when they need to cool down so they can eventually take a time-out on their own without being sent there as a consequence. Use positive reinforcement strategies that encourage good behavior. Reward programs, sticker charts, and token economy systems can go a long way to discouraging bad behavior. Positive discipline can work well with preschool kids through teenagers. Many schools encourage teachers to use positive discipline in the classroom by employing the same principles. Positive discipline is likely to be effective with any caregiver and can help ensure that children are learning from their mistakes.